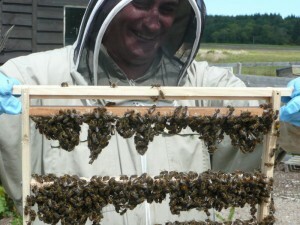 The MBA Honey Show will take place at Birnie on Saturday 18th October from 10:00am. The full show schedule and recipes for the baking classes are now available by following the links and also on the Documents page. The latest issue of our newsletter, The Auricle, is now available on the downloads page. 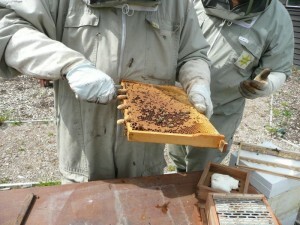 It contains information about the queen rearing course, extracting honey and much more. The latest issue of our newsletter, The Auricle, is now available on the downloads page. It contains information about apiary tasks for July, swarming, introducing a new queen and much more. 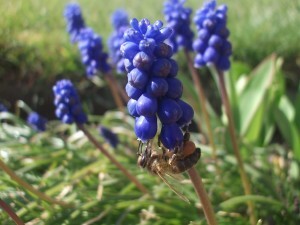 The recent good weather and warm temperatures have certainly encouraged to bees to be actively foraging. 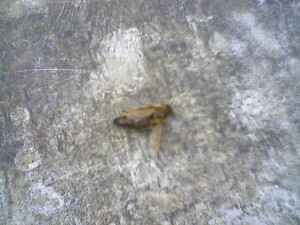 Here is one of my girls busily working in the sunshine this afternoon. 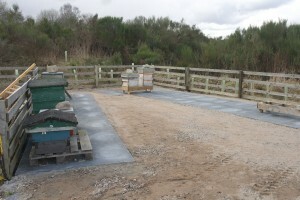 Latest photos of Birnie Apiary following the most recent work party, sent in by Bob Malcolm.